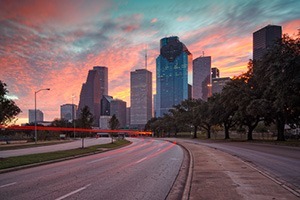 The city of Houston has the largest urban population in the state of Texas and an economy that makes the metropolitan area one of the economic muscles of United States. The Port of Houston is a leader in waterborne tonnage, and Houston is well known for being part of America’s space program. The University of Houston is an enormous academic institution and has an impact on the economy comparable to that of any major corporation. Houston is considered one of the best places for business and careers according to Forbes Magazine. The workforce of Houston needs the kind of benefits that respond to the needs of modern society. A group legal plan is one such benefit that can be used. Granted, pre-paid legal services benefits might not always be required. It is not every day a person has to have evidence prepared for a small claims case or help in dealing with public agencies. Nevertheless, these pre-paid legal services benefits become essential when the need arises. People need to write a will and having help doing that is a great part of any legal plan benefit. They also should write a medical power of attorney and having help doing that is a great part of any group legal benefit. It can be legal services or financial wellness assistance, either one comes with a commitment to the client. We understand how important it is to provide assistance, not lectures. Talking about financial wellness can be embarrassing for some people and our counselors respect that. They help a person get better control of the wallet. The counselors do not preach sermons to those who run into some credit card problems. Nobody wants to talk to a stranger and our legal services emphasize communication. A group legal plan member can call a Countrywide attorney on a given occasion as many times as necessary. Face-to-face consultations are also something that is allowed. Our lawyers will make telephone calls and write letters on behalf of any plan member. It is all part of the legal services package. Modern society creates difficulties which were not seen before. It may be something like a warranty gone bad, or trouble with credit card debt. Employees need more than just a traditional life insurance and healthcare benefits. They require the kind of help that will allow them to meet unexpected circumstances. pre-paid legal services and the financial wellness program offer the kind of assistance that makes a difference.